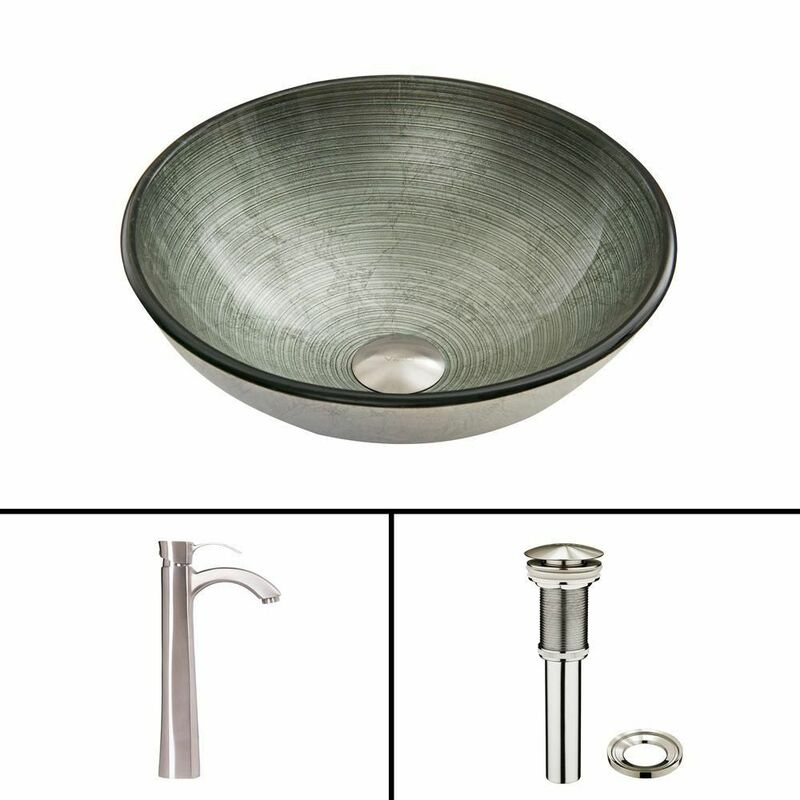 Glass Vessel Sink in Simply Silver with Otis Faucet in Brushed Nickel is rated 5.0 out of 5 by 1. Rated 5 out of 5 by Nancy from Beautiful sink This sink and faucet were nicer than I thought they would be. Great price and quality. Matches perfectly with my honed granite!